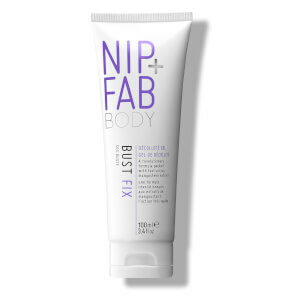 Enhance your bust and décolleté area with NIP+FAB Bust Fix - Night; a super-charged, amped-up version of the brand's original formula that works to firm, smoothen and refine your feminine features. Fortified with Chronodyn™ (a cell energiser) and CellActive® - FORM (a plant-based complex of active ingredients), the powerful serum helps to reshape and accentuate your cleavage, lending fullness to the bust to reveal a voluminous, lifted appearance. 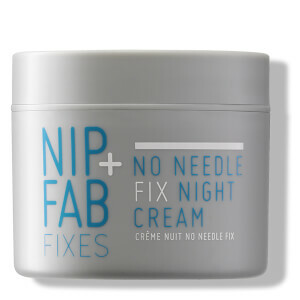 Delivering toning and firming benefits, the maximum strength formula works throughout the night for optimum results. 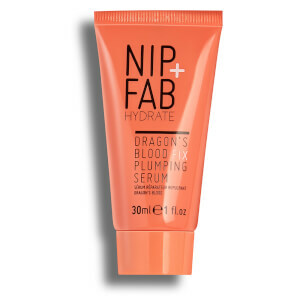 Apply on clean skin in circular movements around the bust area. 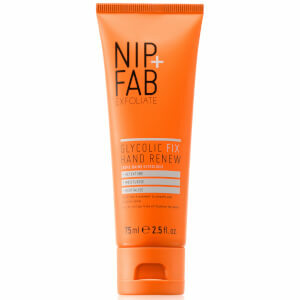 Use in conjunction with original Bust Fix for the best visible results. Aqua (Water), Glycerin, Propylene Glycol, Ammonium Acryloyldimethyltaurate/VP Copolymer, Polyacrylamide, Benzyl Alcohol, Phenoxyethanol, C13-14 Isoparaffin, Mica, Alcohol Denat, Parfum (Fragrance), Disodium EDTA, Laureth-7, Limonene, Pyrus Cydonia (Quince) Seed Extract, Garcinia Mangostana (Mangosteen) Peel Extract, Chlorella Vulgaris/Lupinus Albus Protein Ferment, Linalool, Dehydroacetic Acid, Geraniol, Eugenol, Citronellol, Citral, Farnesol, Benzyl Benzoate, Cinnamal, Benzyl Salicylate, Hexyl Cinnamal, Cinnamyl Alcohol, Iso Eugenol, Coumarin, Alpha-Isomethyl Ionone, Sodium Hydroxide, Citric Acid, CI 77891 (Titanium Dioxide).